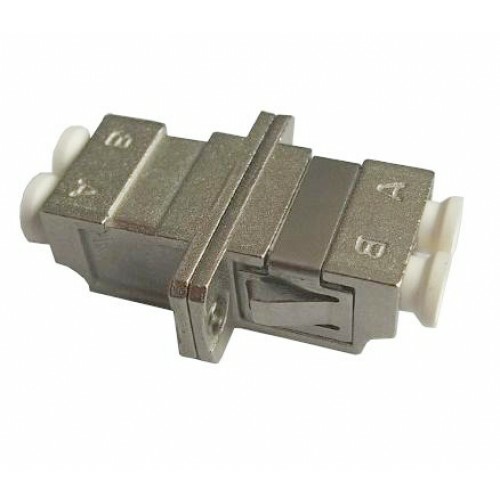 LC fiber optic adapters; We supply these products are various types including single mode SM and multimode MM, zirconia sleeve and bronze sleeve, simplex and duplex options. Standard female to female LC fiber optic adapter and hybrid LC fiber optic adapters. Typical LC fiber optic adapters use a plastic housing normally blue for the singlemode LC UPC it is blue color, single mode LC APC it is green color, multimode LC UPC is beige color and a 10Gb aqua . These are for 1 fiber mating, duplex are for 2 fiber or 1 pair. And the quad adapters are for 4 fiber adapter, 2 pair or 4 ports. 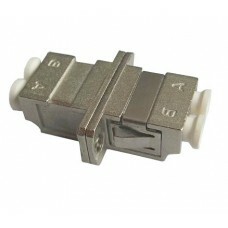 We also supply the metal housing LC fiber optic adapters. Most of these adapters come with ceramic sleeves, while there are bronze sleeve LC adapters which are generally multimode types.